Thomas Nelson's Emily Cammack goes to the ground to make a play against Washington County during last year's 19th District championship. After starting a St. Catharine College softball program from scratch and ultimately winning a national championship, there was no question about Holly Smith’s coaching abilities. Combine that with a group of Thomas Nelson players with a burning desire to improve, Smith and her team managed to make history at the school in just two years. They won more games than they lost in 2018 (14-10), the first time that’s happened since the school opened. Thomas Nelson also made its only trip to the regional tournament after finishing as 19th District runners-up. The pressure is now on the team to continue that success, but most of the parts are in place to make that happen. Thomas Nelson will have to overcome the loss of pitching ace Kaillee Miller, who is out for the season after undergoing shoulder surgery. She was also the team’s best hitter with a .492/.554/.923 slash line last year and produced team-high totals in runs (27), RBIs (23), doubles (8) and homers (6). Sophomore Jenna Minter will be counted on to replace Miller. 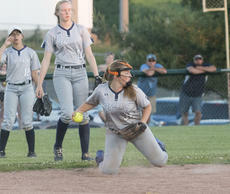 She had a 5-2 record last season and pitched the title game of the district tournament, an 8-3 loss to Washington County. Senior Nicole Reed will also pitch but will spend most of her time in the outfield. Senior Emily Cammack, a Transylvania University signee, will be behind the plate. Cammack was the team’s second-best hitter a year ago with her .375 average. Smith has several options on the right side of her infield. Sophomores Allyson Newton and Kaylee Reynolds will be there most of the time. Newton is a versatile player and could play other positions. “Her ability to hit and her growth on defense will keep her in the lineup,” Smith said. She will also play second base, sharing the spot with classmate Aricka Jackson. A pair of veterans, including Clark, will be on the left side of the infield. Clark admits she can be her own worst enemy. Sydney Gagel is only a sophomore, but she played third base most of last year. Smith said she is the type of player who can elevate the team’s play. “She eats, sleeps, and breathes softball,” the coach said. Sophomores Payton League and Lily Unseld will join Reed and Newton in the outfield. Several other young players are vying for time there. The Generals have missed Miller’s bat this season, struggling to a 1-4 start after being shut out three times. 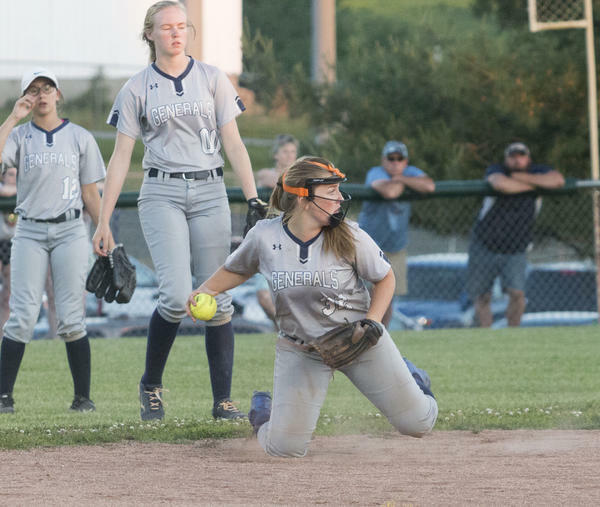 They have shown some signs of waking up, though, getting their first win of the season on Saturday, 16-15 over Hart County, in a game that saw Reed go 5-for-5 and Cammack go 4-for-5. Clark says the mentality Smith has created will pay dividends. The coach knows a few losses in the opening week of the season will not matter in May. “If we can find ways to score runs, and #Win The Day every day, the District Tournament should be another fun one,” Smith said. Thomas Nelson hosts Nelson County today to start district play.